Good accounts make good friends, that’s a sentence that makes perfect sense here! 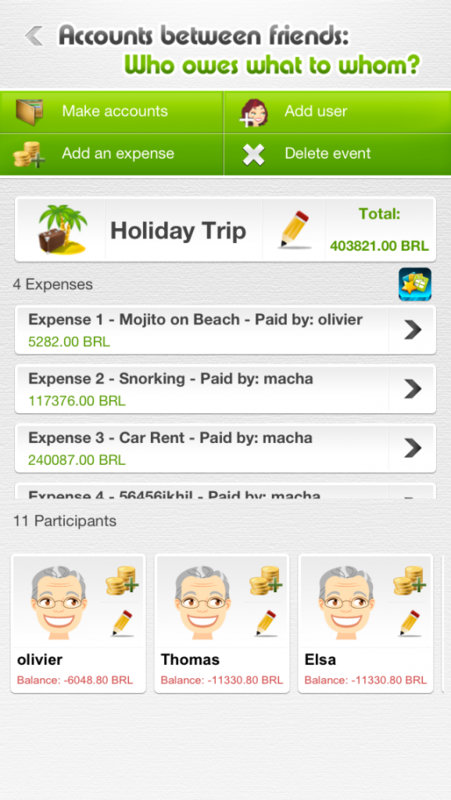 Thanks to this application, you can manage your budgets when you go away as a group! Enter your expenditures from during the event, and the application will handle the accounts at the end. You’ll then know precisely who is owed what! Take a trip, go away for the weekend, etc… with friends and you can relax knowing that there’ll be no more hassle with accounts at the end. 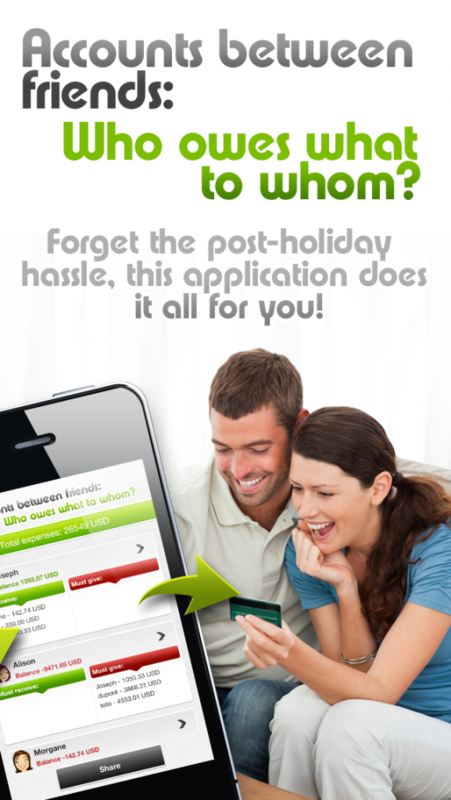 • Add expenses, select who paid what and who participated in each expense. • View a summary of all expenses of the event. 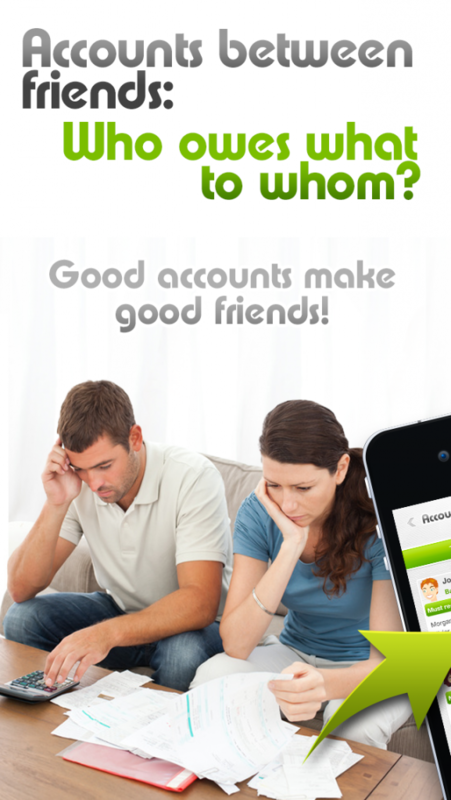 • Make accounts more easily. • Manage currencies for events overseas, more than 40 currencies available. • Share accounts by e-mail.